Authorities in Ohio are hunting a gunman who killed two horses in their pasture. The horses were shot on Sunday night in Canton Township, Stark County. A witness reported hearing up to eight shots from what sounded like an automatic weapon. One of the horses was a Mustang-Arabian named Ebony and the other a partially sighted appaloosa named Peaches. Ebony belonged to the family of Brenda Brown Boyce, and Peaches belonged to 16-year-old Monica Townsend, according to local media. Stark County Sheriff George Maier called the crime troubling and said it was under investigation. Bullet casings were recovered from the scene. 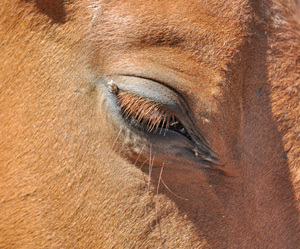 It is hoped the bullets can be recovered from the horses’ bodies before they are buried. Maier said the shooting happened between 9.30pm and 10pm in the 3000 block of Central Avenue, Southeast. Anyone with information should contact the Stark County Sheriff’s Office at 330-430-3800.